“Breaking Bad” was blue crystal meth. Chances are, you’ve never heard of crystal shrimp. From the age of three, I roamed the aisles of Noryangjin fish market in Seoul to sample fresh squid and flounder. 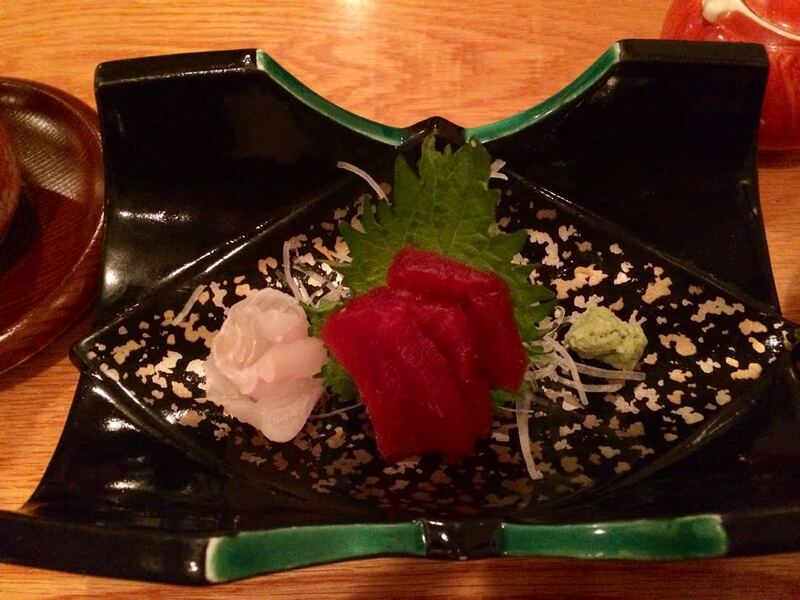 From the age of four, I appreciated sashimi. Ten years in Reno (a surprisingly good destination for reasonably priced, reasonably fresh, all-you-can-eat sushi bars) meant stuffing my face with many many servings of crystal shrimp. More recently, I experienced the “art of nigiri” at Sushi Sunsoo in Seoul (read my review here). In short, the breadth of my experience with Japanese cuisine ended there. Sashimi, nigiri, and yes, crystal shrimp. Don’t get me wrong. Sashimi and nigiri sushi, I think, are exemplary diplomats of Japanese culinary heritage. 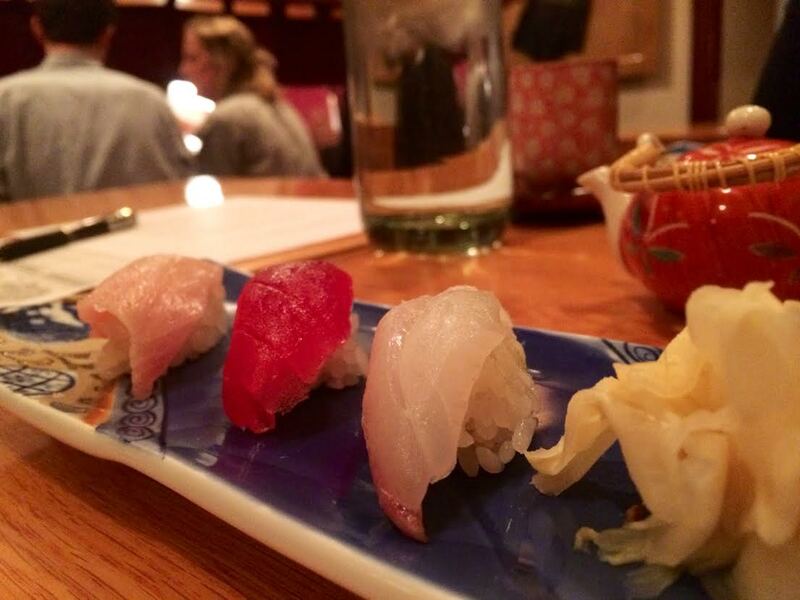 In fact, I will take a masterfully crafted course of nigiri over any steak dinner. But I always knew there was more out there and struggled at the thought of never being able to expand my limited exposure. Then I dined at Makoto. 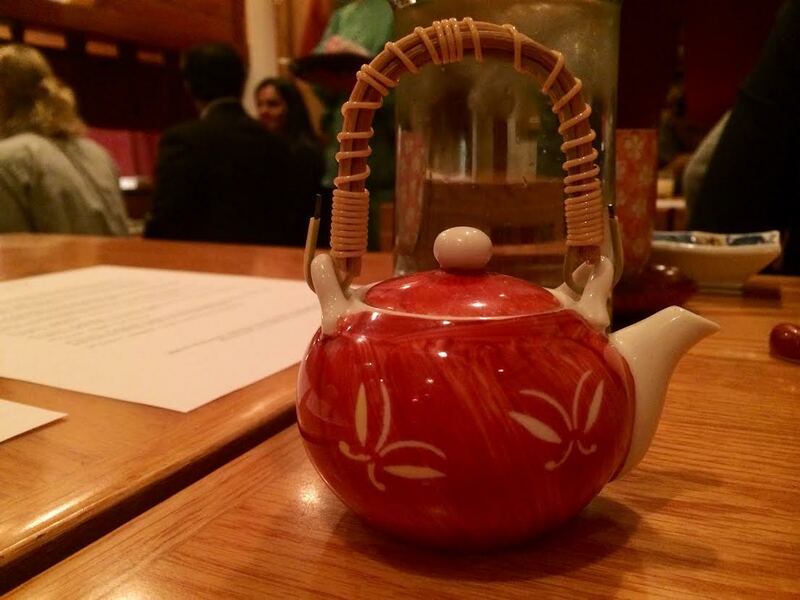 This is the temple of authentic Japanese dining in DC, if not in America. 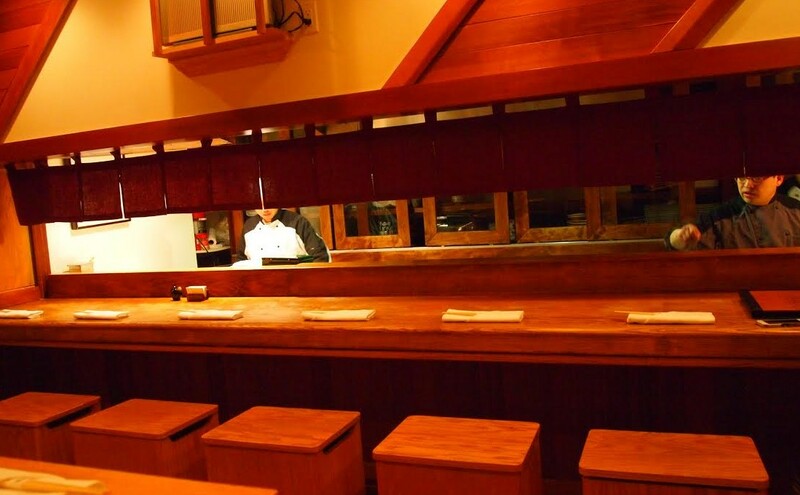 Since opening its doors in 1992, Makoto (which means “harmony”) serves a chef’s tasting menu (“omakase”, which literally means “chef’s way”), with menus changing daily depending on what’s fresh and what the chef feels like serving. Three things caught my attention even before I even stepped into the cozy establishment. One, “proper attire” is required. Even without instruction, I pulled out a suit to prepare myself for what was to come. Only the best for the best. And one must remove one’s shoes before entering. 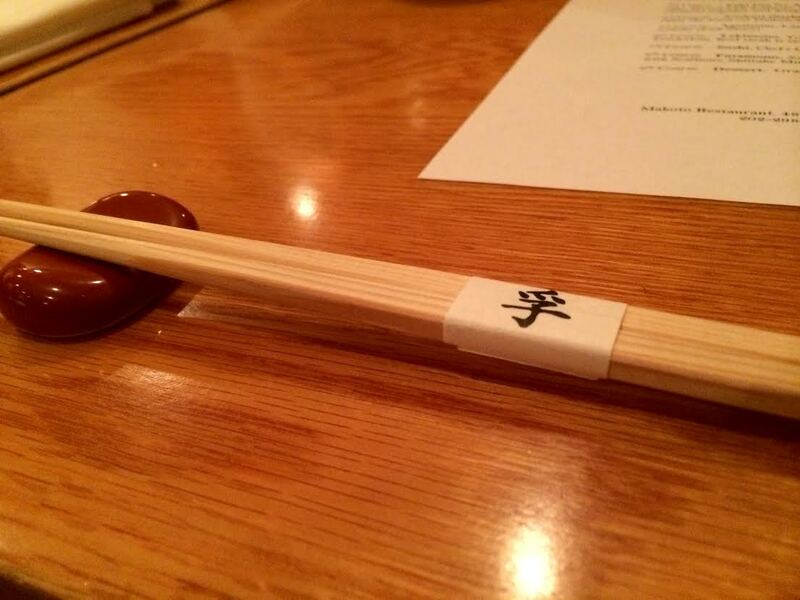 When you put on those slippers, you are entering the omakase domain. Two, no electronic devices allowed. Phones and cameras were okay, but no tablets, no laptops. Focus on the food, says the chef. Three, no strong perfume or cologne, as strong odors (other than what comes out of the kitchen) may inhibit one’s senses. This was a first for me, and it makes more than perfect sense. Again, focus on the food, says the chef. “Food should fill the soul, not the belly,” says the chef and owner Gene Itoh. After finishing his meal at Jiro’s sushi bar in Tokyo, Anthony Bourdain exclaimed something like, “That was like a symphony. The way that one course leads to the next, it’s like a masterful symphony.” If Jiro’s sushi is a symphony, Makoto’s omakase is a playful jazz set. (For one, the restaurant played great jazz throughout the dinner – lots of Coltrane! – which was unexpected. No elevator music or mysterious “Asian” sounding stuff.) A masterful, perfectly devised jazz set. The ebb and flow of the meal never bores you, never fails to surprise you, and never fails to tug at you, like the rabbit in “Alice in Wonderland” making you fall deeper and deeper into its hole. Reproduced here is the omakase menu from January 25. The entire presentation was like a fantasy, a dream that started with a flavor I’ve never experienced elsewhere (tofu sauce with Champagne essence) and ended with refreshing Grand Marnier, with layers and layers and layers within. Like the movie “Inception” – a very delicious, immaculate movie. Shoes come off, slippers come on. The dining area is tight, but not crowded. Cozy. The kitchen, partly behind the bar, is not entirely visible, but you see glimpses of the chefs prepping, chopping, frying. The steady humming of the knives and the murmurs of the chefs is somewhat comforting, a sort of lullaby luring you into a multilayer omakase fantasy. 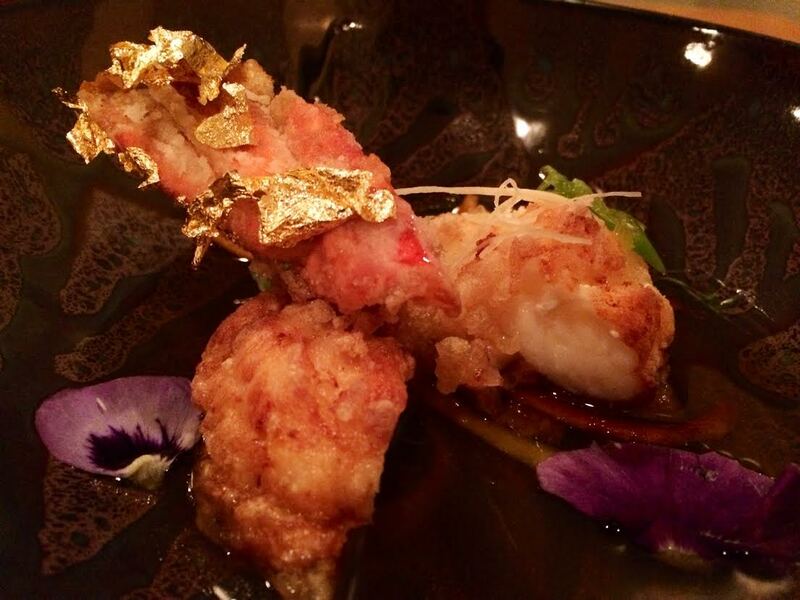 Chef Itoh is a master of flavor and texture contrasts. He understands how to tickle every corner of your tongue and all your senses. For a number of menu items, he specifically instructs you on how you should consume that particular dish. Here is a chef that truly understands the human palate. 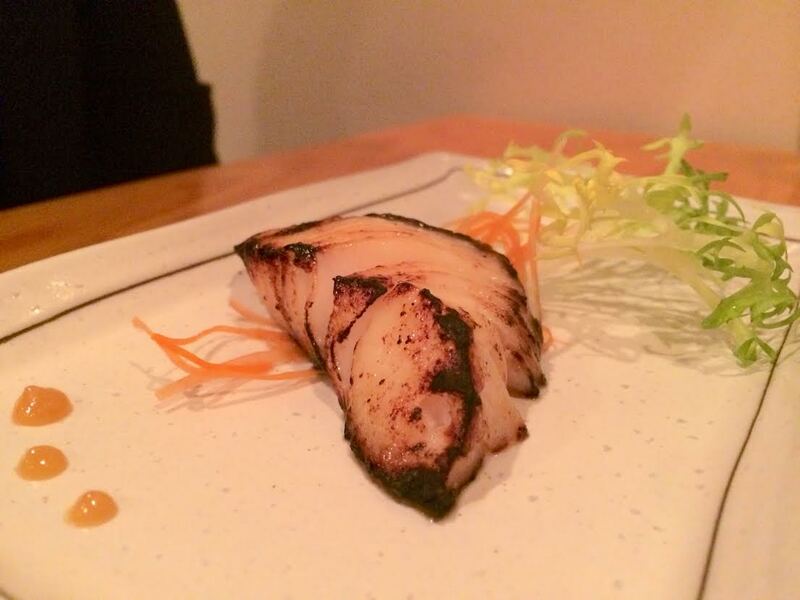 Here are four observations on the omakase. Fresh strawberries with tofu sauce and Champagne fume. First you get the sweet tartness of the strawberries, followed by a creamy, nutty tofu puree. Just as you detect the nutty flavor, the Champagne rises up, pleasantly. All that in one bite. No photo can do justice to those layers of flavors. 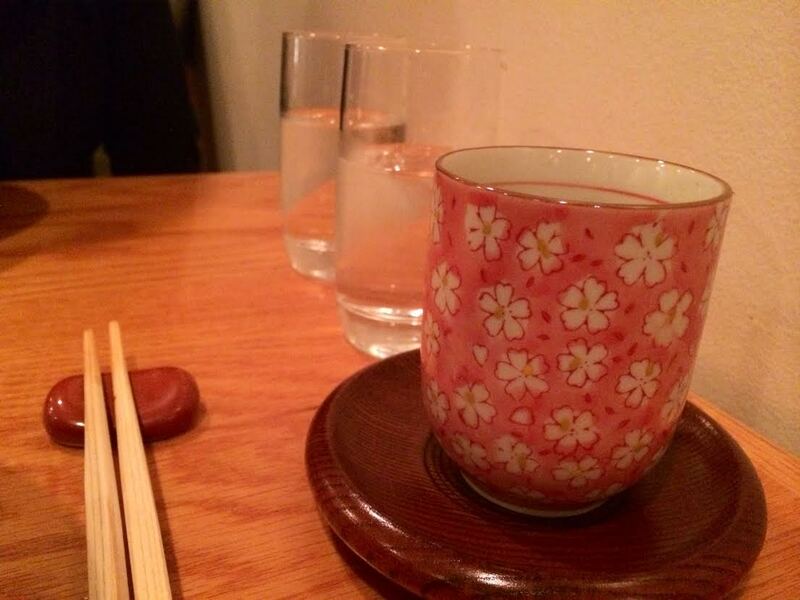 Dashi means broth. 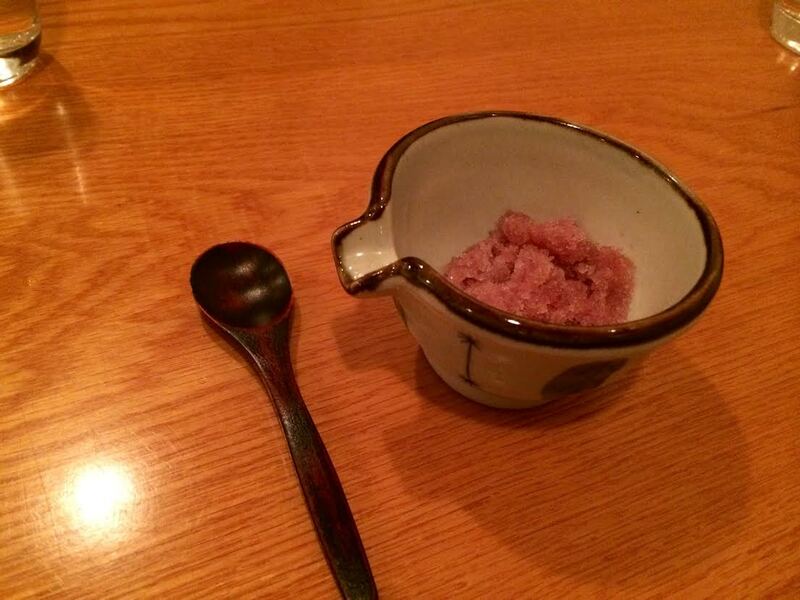 There are dozens of different dashi, and Itoh uses different kinds in several of his dishes. Some more delicate with nuanced flavors, some bolder with a more prominent, even smoky profile. 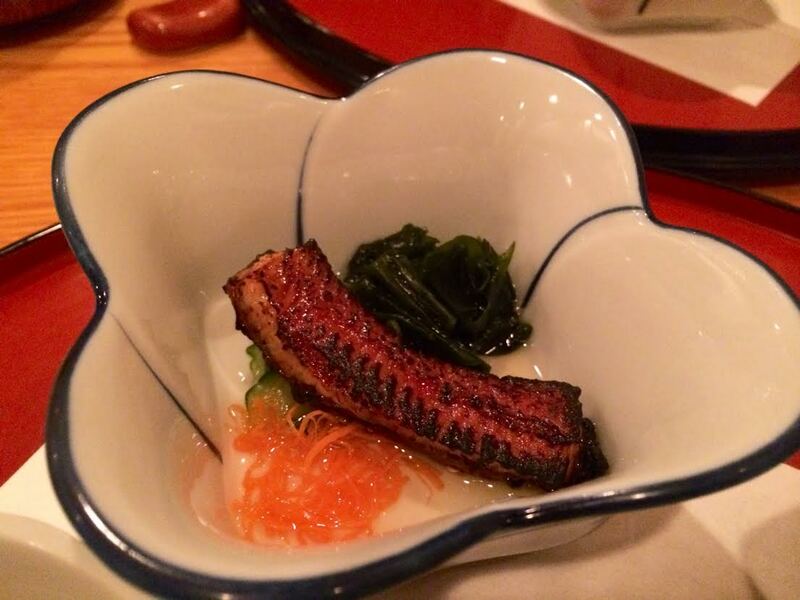 Dashi ties the omakase together. 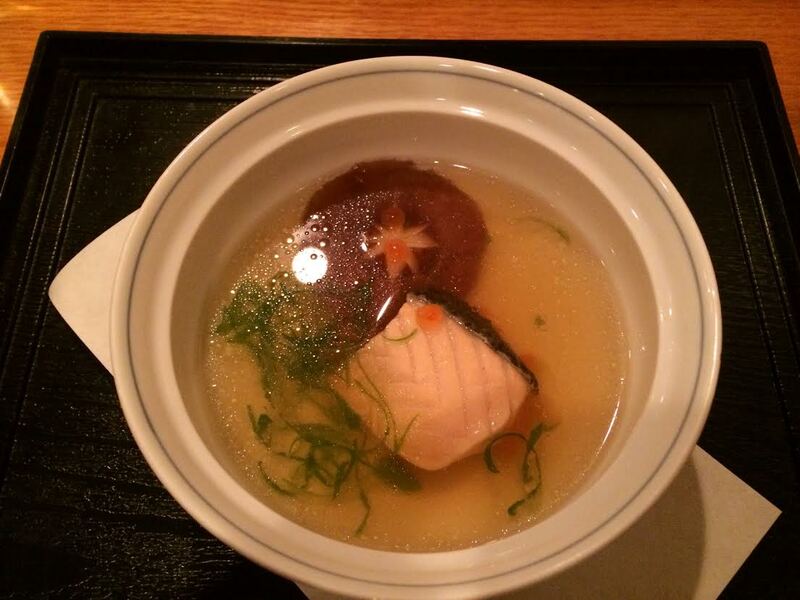 The rare beef in the second course, the uni mochi, the fried langostine, and of course the salmon soup – dashi (or sometimes dashi-like sauce) is a major component of each dish, highlighting the main ingredients. I love uni. No words could describe my love for it. And I’ve never seen someone deep fry it, until Makoto. 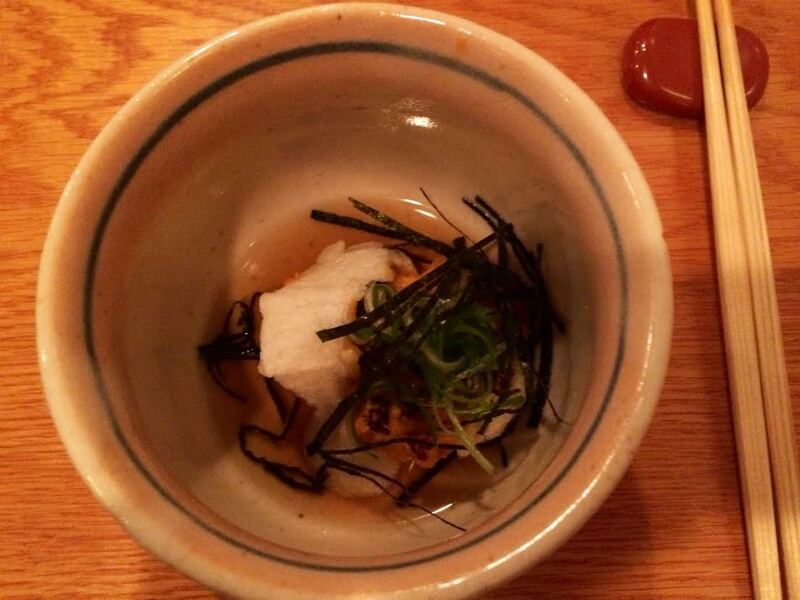 The sea urchin roe is placed in mochi (sticky rice cake), deep fried, and served with agedashi broth. The fried mochi develops a crispy skin, but maintains its softness inside. After the initial bite, the indescribable creaminess of the uni rushes in. I thought the mochi and the nori garnish overpowered the uni a bit, but when I sipped the dashi (as instructed), the subtle sea-goodness of the uni came back. Delightful. (And daring, as not everyone should attempt to deep fry uni). “Beef steak is served rare only,” says the menu. No further comments necessary. 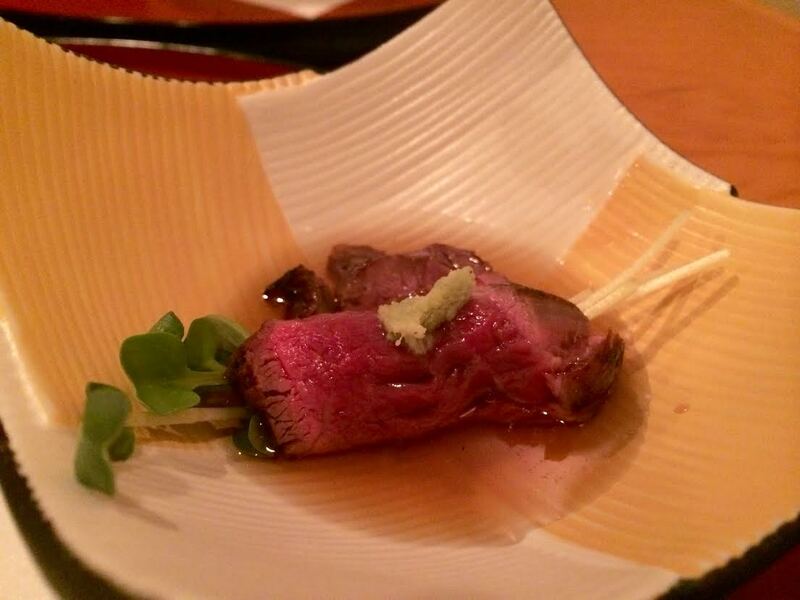 But I will say, the rare, thin sliced beef during the second course was possibly my favorite bite of the entire omakase. The perfectly red beef was rolled with a few sprouts inside, and served with a “sweet – savory sauce.” This sauce is more like a dashi – an enchanting creation that says “hey you are eating the best beef in the world.” The freshly grated wasabi on top completes the bite with a hint of spicy tartness. Bottom line is, the Japanese really know their steak. Really. 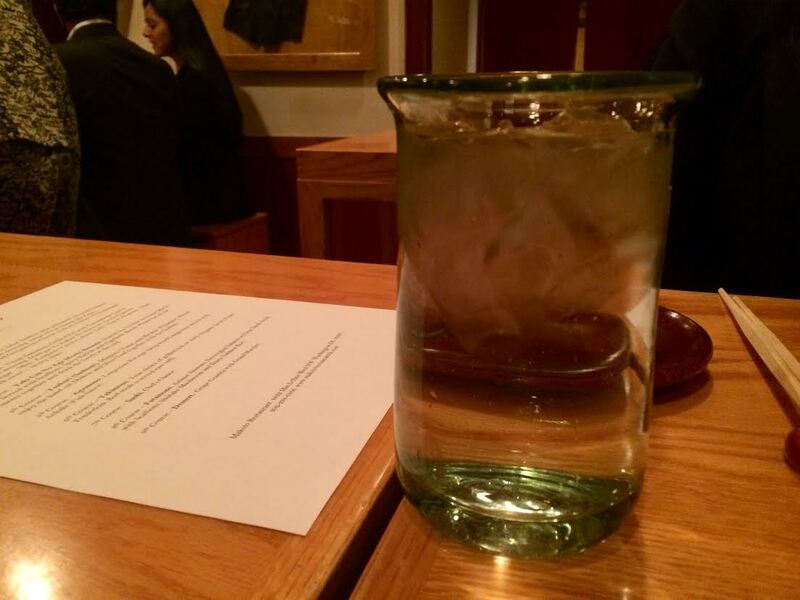 Good restaurants (good food in general) pay attention to the little things. Subtlety goes a long way. Nuanced flavors, balanced approaches, push and pull of texture combinations all speak volumes of a chef’s ability to show you what he wants you to see in his food. Cups, tea pots, logos, seats, wood – minute design details also add value to the dining experience, leaving a permanent etching of an establishment on one’s gastronomic memory card. 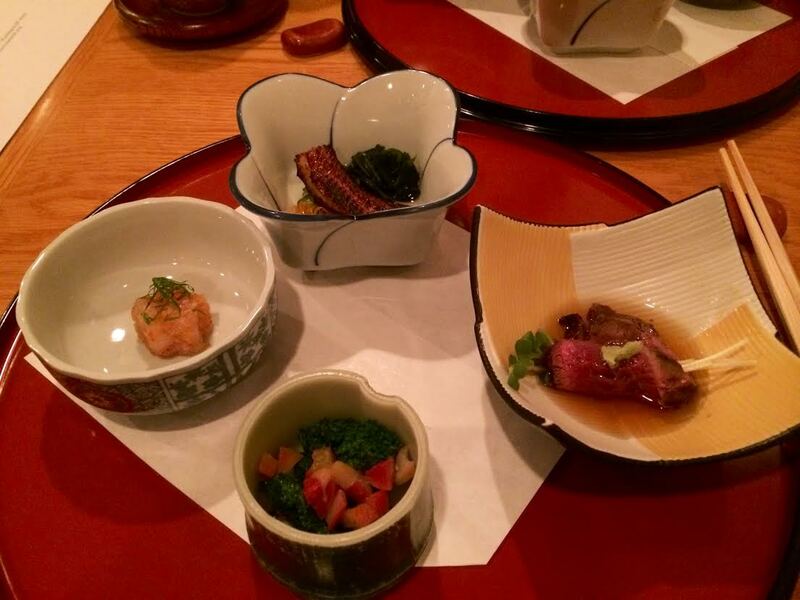 The noise, smell, colors and patterns, plating of food, all culminate to complete an omakase. Chef Itoh gets it. 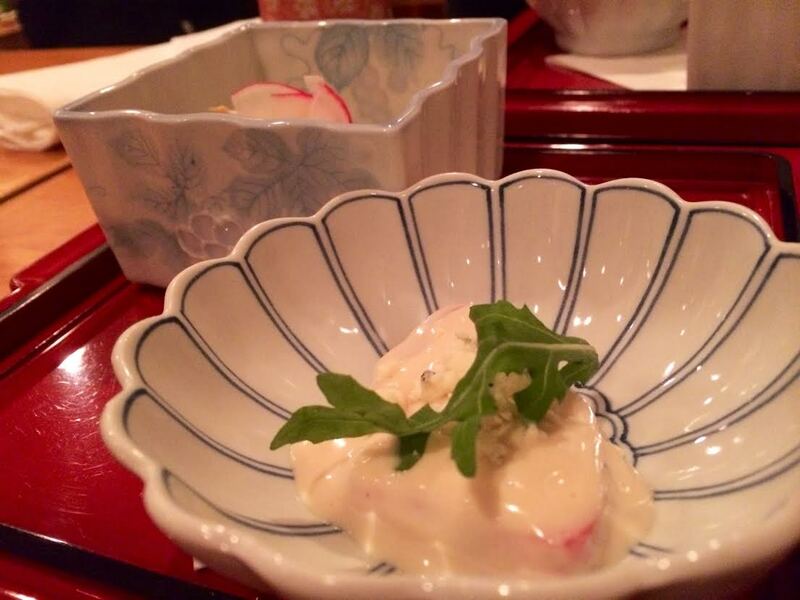 Makoto is not a sushi bar – and thankfully so. It illuminates the depth of Japanese cuisine, highlights the limitless potential of everything beyond crystal shrimp rolls. 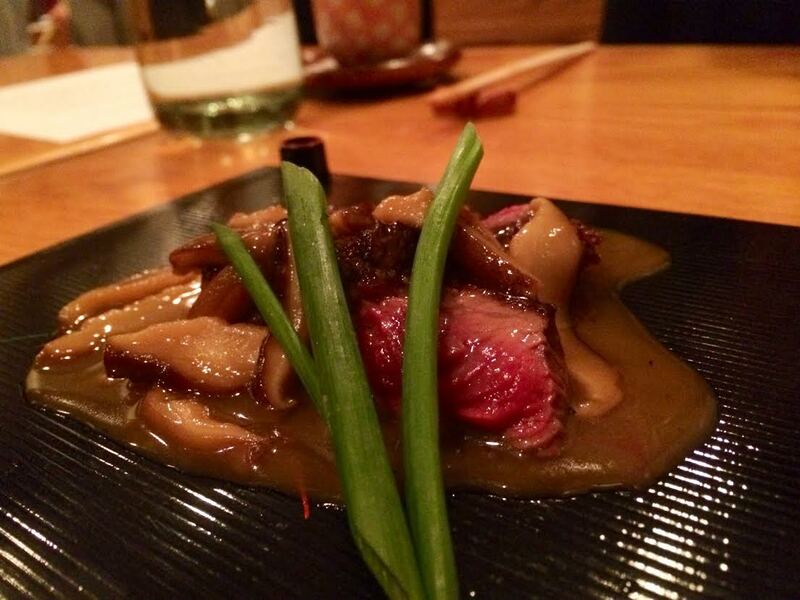 After a whirlwind of an omakase, you’re left begging for more, inquisitive as to what else is out there. The shirt I wore that night still smells of the smoky fumes of the flame-kissed eel. And I don’t mind.